KYOTO-iCAP, founded on December 22, 2014, is a wholly owned subsidiary of Kyoto University. Our mission is to utilize Kyoto University’s research results to generate industries for future generations and contribute by making investments. Kyoto University boasts top-level, world-class researchers in various fields such as engineering, science, agriculture, and life sciences including medicine and pharmaceuticals, generating many fruitful research outcomes. Additionally, many more research results are being generated in national universities other than Kyoto University. 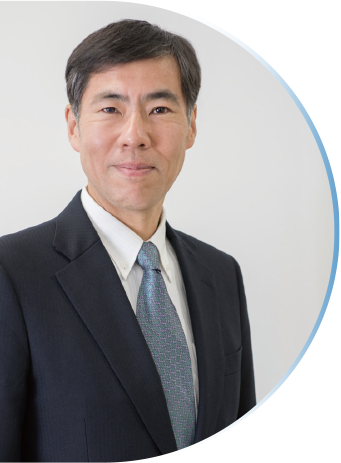 The mission of KYOTO-iCAP is to leverage Kyoto University’s research results, technologies, and know-how to generate industries that will support future generations. People say it is important for venture capitalists to find “investment projects,” but we place more weight on “building projects.” This is the biggest difference between us and other venture capital groups. There are many difficulties and risks for creating a new business nearly from scratch, and at times we may fail. However, we believe that it is important that we continue to take on challenges in Japan today, in a world that tends to criticize and judge without results. When we look at our business from an industrial or investment company’s perspective, such as venture capitalists, then we may position ourselves as a “supplier of new business projects.” Further, people in academia may see us as a new business development division that bridges research results and the industry. To continue the foregoing activities, we need people that not only have experience in developing new products and new businesses but also a sense of respect and insight toward science, coupled with an understanding of university culture. Moreover, the deeper a business is rooted in science, the greater the number of years necessary for its commercialization. For this to happen, we need people to maintain great determination beyond business. Our staff are all learning every day how to better achieve these traits. We are grateful to have more and more people supporting our activities every day. Our activities are attracting attention not only in Japan but also globally. However, we still have a long way to go, and many unresolved problems remain. We strongly feel that nothing is more important than the support we receive from all of you. Your continued support is much appreciated by our entire staff. 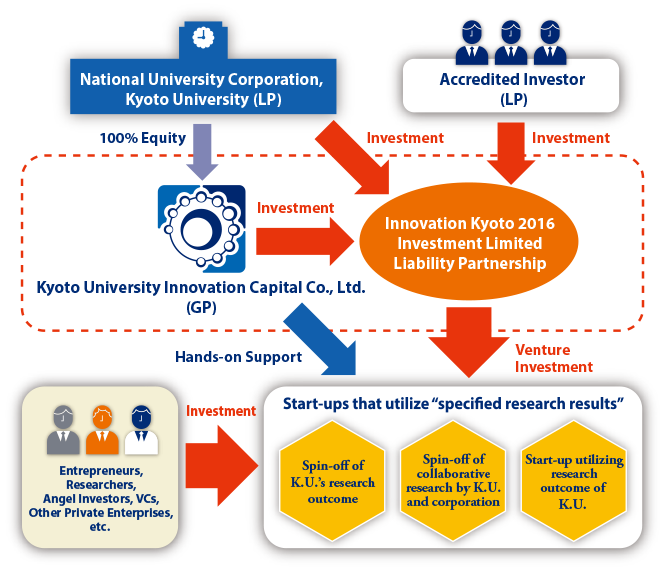 As the general partner, Kyoto University Innovation Capital Co., Ltd. established “Innovation Kyoto 2016 Investment Limited Liability Partnership” together with funding from limited partners, i.e., Kyoto University and an accredited investor. We invest in and provide other managerial support to start-ups that utilize the research outcomes of Kyoto University. Kyoto University Innovation Capital Co., Ltd.